You Invite the guests, we do the rest! We welcome the opportunity to provide you with our services. Delicious food, exquisite food presentation, and an eye for detail make Bennett-Curtis Catering one of the finest catering services available in the area. Unlike most caterers we offer value impacted menus with a range of prices. The Bennett-Curtis House has been a Fine Dine Restaurant since 1984; Bennett-Curtis Catering service has been in service since 1992, delivering our food and services up to 100 miles from the restaurant. 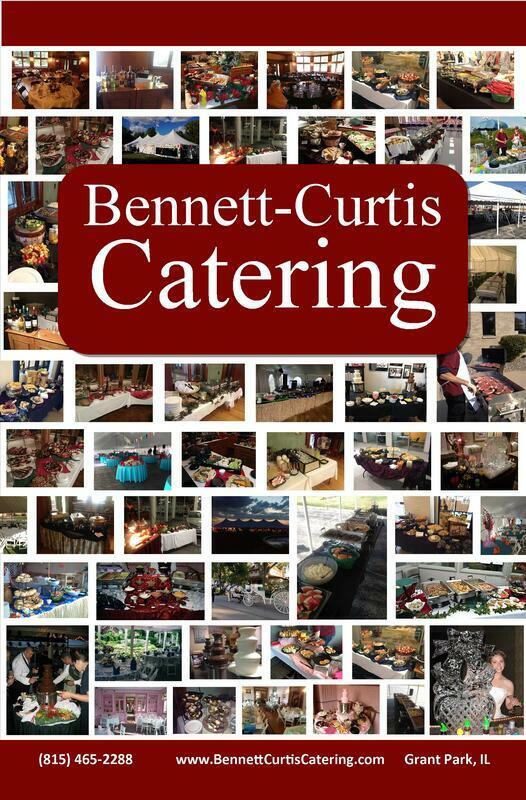 Bennett-Curtis Catering is the off-premise catering division of The Bennett-Curtis House. We specialize in Special Events. In addition to offering many other services- ice sculptures, party rentals, tuxedos, invitations, and much more.